Keeps periodontal problems at bay. Boxer puppies are extremely energetic and require food that will provide them with nutrition and energ at the same time. Boxer puppies have brachycephallic skuls which means that they require a special kind of kibble food that is easy to pick, chew and digest. 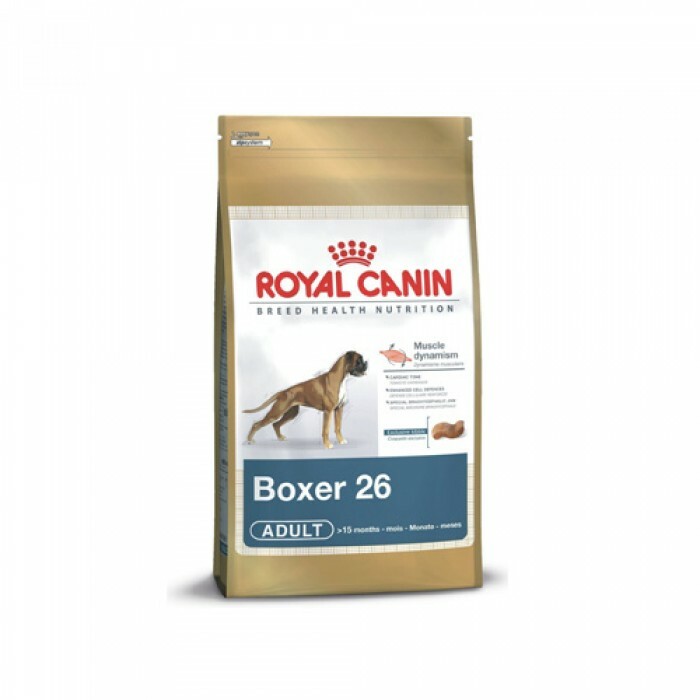 Royal Canin Boxer Junior has been specially formulated keeping in mind the nutritional and energy requirements of the pup in mind. The kibble is packed with natural ingredients and micro nutrients that provide energy and strenght to the pups. Not only is the food healty for the pups but it also promotes growth of strong muscoskeletal structure, healthy digestive system and also build up the immune system of the dog. The food contains micronutrients that helps to maintain shiny fur and soft skin. The kibble size makes it easy to pick up the food and chew and digest. 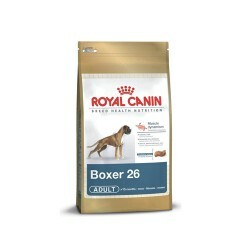 Boxers have a senstive stomach so the ingredients selected are gentle on the stomach. Chewing of kibble also keeps periodontal problems such as plaque and tartar away.